To monitor 4 level FLEX, ERMES and other data signals (POCSAG, 2 level FLEX), this 4 level interface was developed. From 2003 it can be purchased from this site. 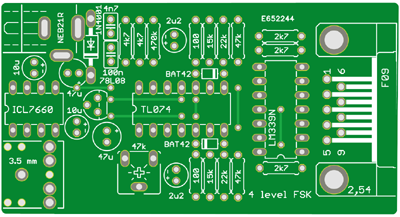 Recently, the circuit board has been redesigned, resulting in a more compact board (about 15% smaller). The interface is connected your scanner's or receiver's discriminator output and to your PC's serial port. That should be a 'real' serial port on your PC's motherboard. An RS232 to USB converter or a PCMCIA/PCI card with one or more serial ports will not work. The interface works without the need to install an additional driver on Windows 98. To use it with Windows XP or Windows 7 (32 bits), you have to install the driver that is included with the PDW software ('xp_driver.zip'). Unfortunately, this driver will not work with Windows 7 (64) bits, Windows 8 or Windows 10. I use a vintage PC with Windows 98 SE and get excellent results. The data slicer is powered by a 12 V source, e.g. form a universal adapter ('wall wart'). The interface stabilizes this to 8 Volt. An inverter IC generates a -8 V negative supply. Alignment is not critical. The reference voltage for the window comparator, available between the cathode of D2 and the anode of D3 (see the schematic diagram) is aligned to about 3.5V at the presence of a data signal. 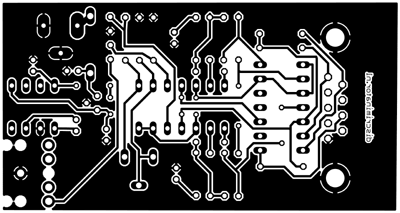 You can produce your own single sided printed circuit board. 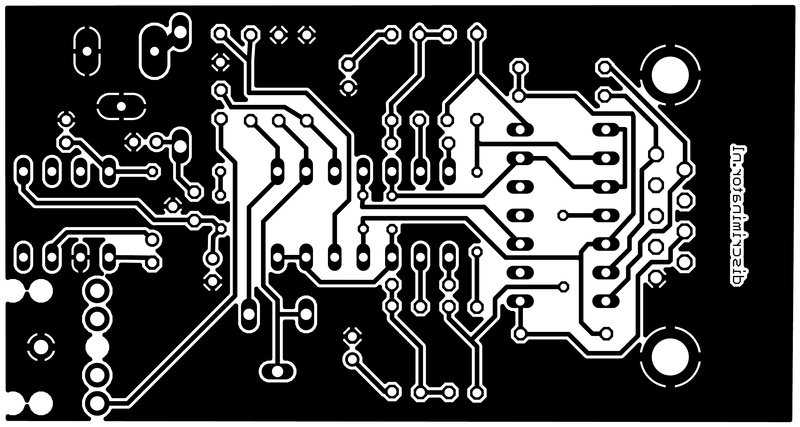 The high resolution PCB design (1200 dpi) can be downloaded here. In that case, 6 wire bridges have to be placed. The components for the 4 level data slicer are quite common. You should have no problem getting them from your component shop or order them online. You can check the partlist here.